There’s not much that will make me nope out of making a recipe faster than seeing a huge list of ingredients. If they’re pantry staples, it’s one thing, but if I have to pick up 15 different vegetables at the grocery store for a single meal? Nope! That’s why I’ve become an avid collector of recipes for 5-ingredient vegetarian dinners. Whenever I see a recipe with a short list of ingredients, I pin it because I know it means 3 things: less time spent at the grocery store, less money spent at the grocery store, and quicker prep time. All wins in my book and probably yours too, right? These 7 recipes–yup, a whole week’s worth!–are all made with only 5 ingredients and most are a cinch to prep and cook too. The ultimate clean-out-your-fridge dinner, you can use any herbs and vegetables you have in the crisper drawer to make these rustic meal bowls. 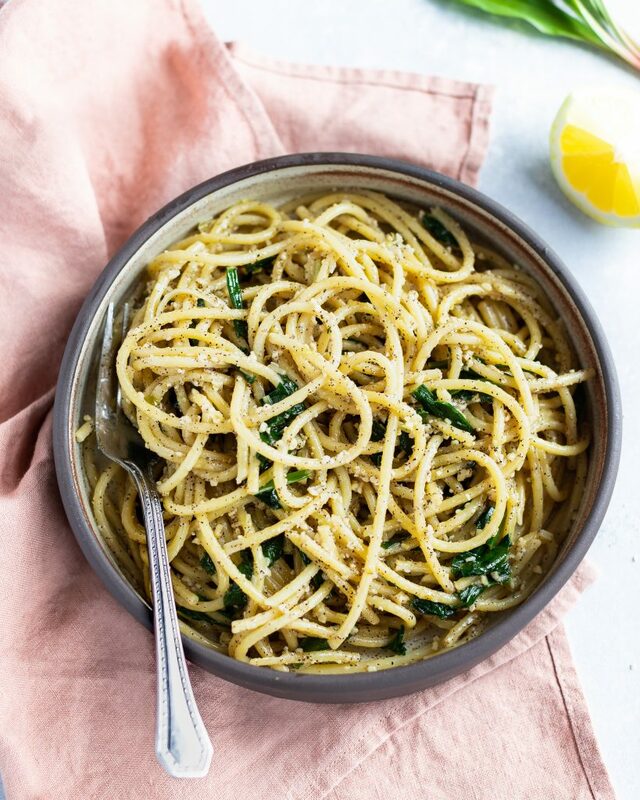 If traditional cacio e pepe leaves you unimpressed, you’ll love this more flavorful version made with ramps and lemon. Every vegetarian needs to know how to make these! 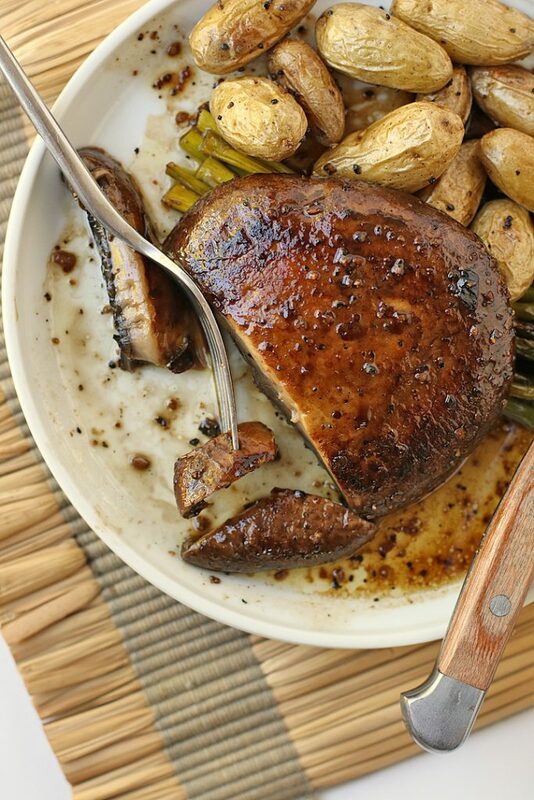 Add roasted asparagus and baby potatoes on the side and you’re still only at 5 ingredients for the whole meal. 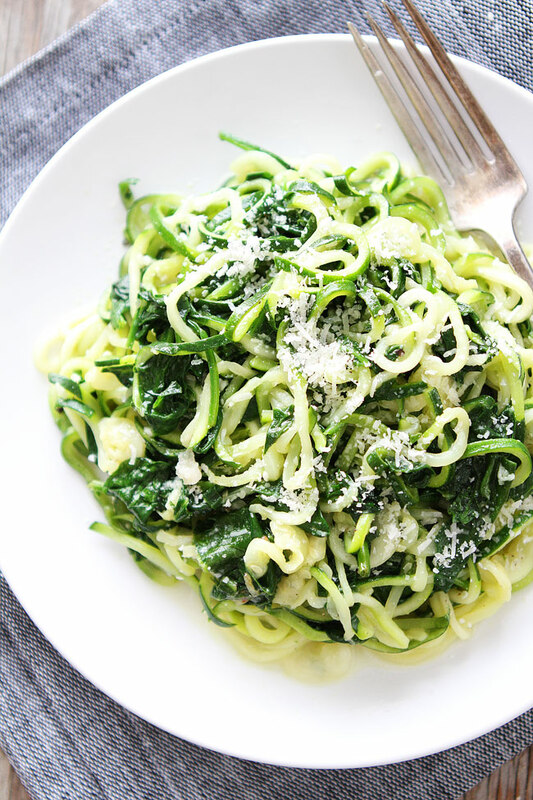 The addition of garlic butter makes these zucchini noodles totally irresistible. 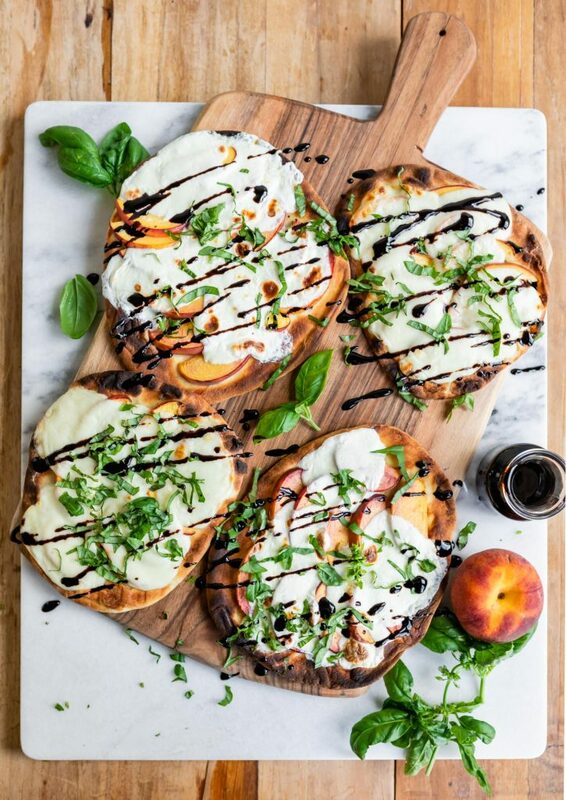 Using naan as a pizza crust saves you lots of time–and it also means everyone in the family can customize their own pizzas. Tempted to pick up the phone and order takeout? 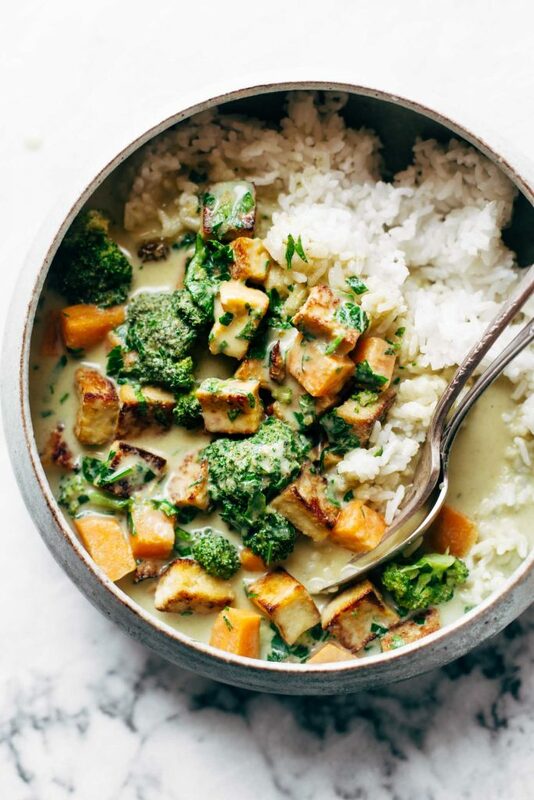 You can make this curry in the same amount of time! 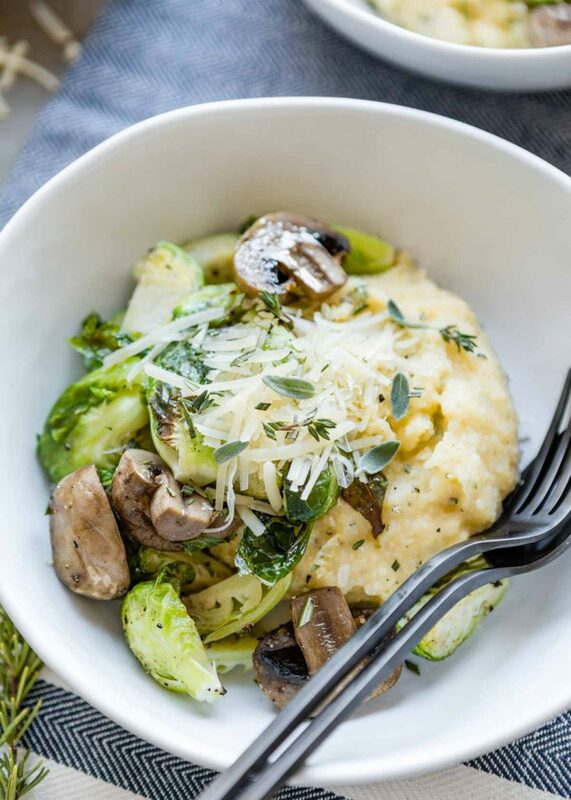 If you’re looking for more 5-ingredient vegetarian dinners, Minimalist Baker has plenty of options! 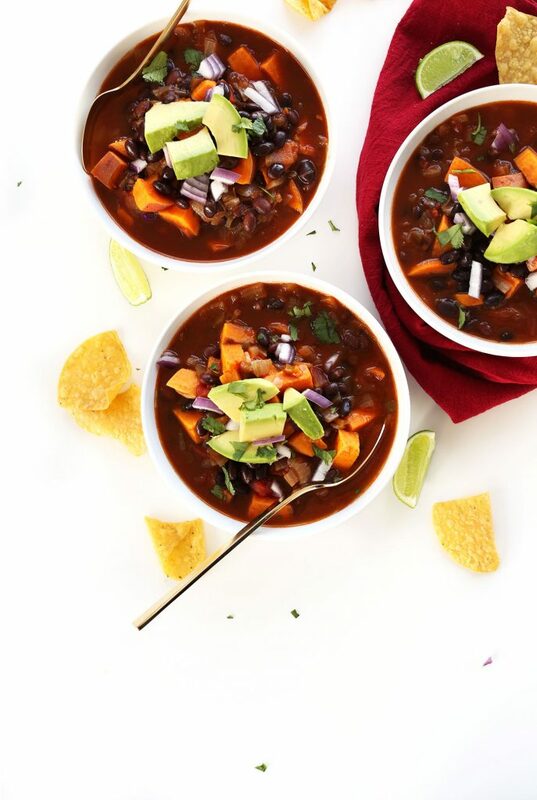 I especially love this super simple chili.